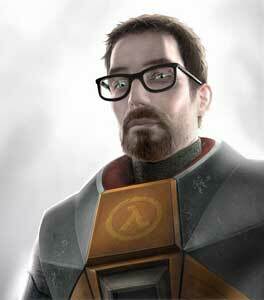 Gordon Freeman is the main protagonist and playable character in the Half-Life first person shooters by Valve. He debuted in Half-Life (1998), and while he was not always playable he was seen in almost all Half-Life Spin-off games. 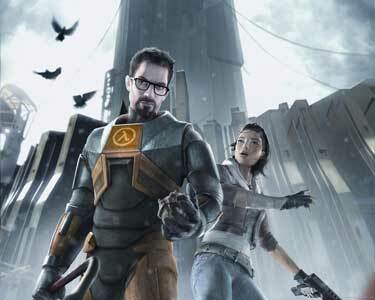 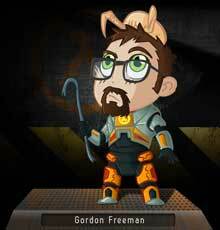 Gordon Freeman was also referenced in many later games including Metro, Timespliters and even The Punisher. Gordon Freeman was born in Seattle and became a theoretical physicist who has to defend himself and humanity after an experiment went horrible wrong. 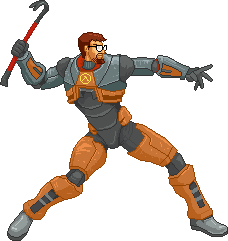 He just loves the Crowbar.